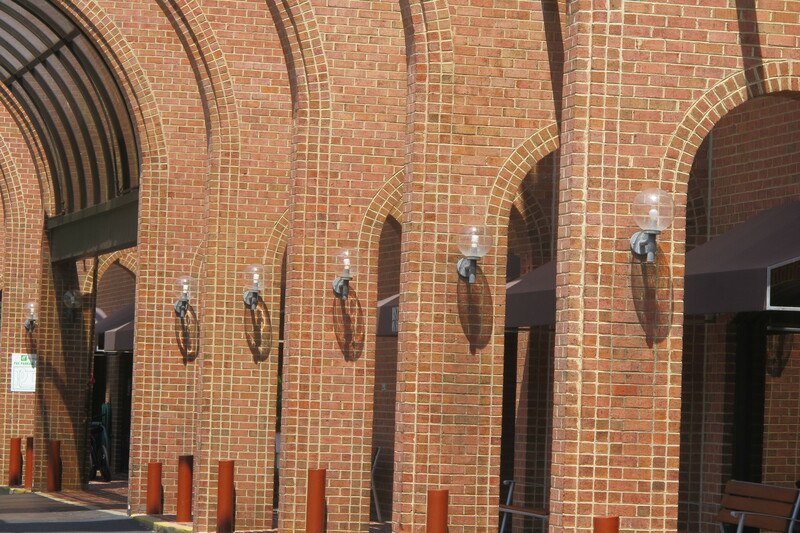 The location was in an entrance drive way at a moderate hotel in Alexandria, VA. The "Take It!" came after looking at the shadows cast during the daytime through these clear glass globe protected lights. The distortions in the shadows which come from how the sun is positioned are quite striking. I especially like the differentiation found with each lamp when looking at the line up of them all together. The After Take: To the few I have shown these to - they seemed to provoke a long viewing - a sort of taking it in - much like I did - only over a lot longer course of time. Everyone liked them. It is no secret - I am quite enamored with shadows be they cast in the daytime via the sun or in the dark via artificial light or on special occasions, at night by the moon. The shadow looks really cool like one of those electric orbs you can touch. 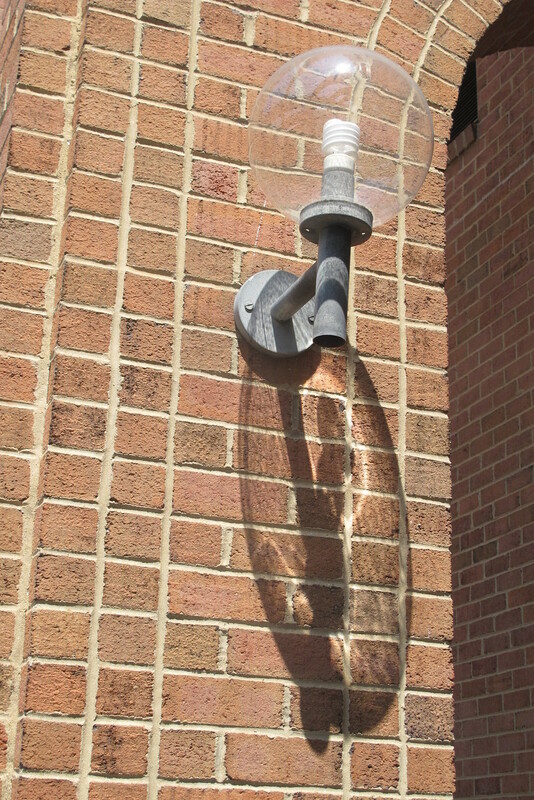 Wonder how the shadow would changed if they turned them on! Jim: You could not be more correct. Shadows are one of my favorite subjects. We have some great ones coming up that were super fun to put together.